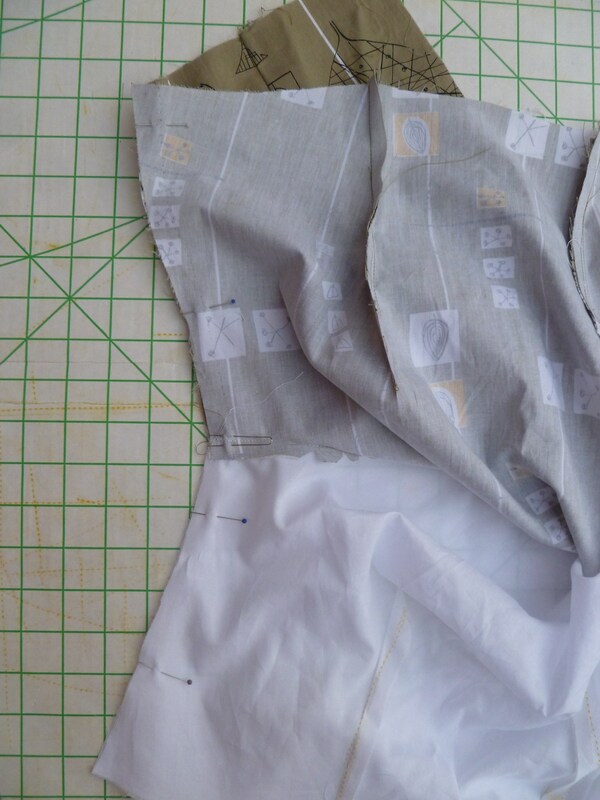 How To Line A Sleeveless Bodice (otherwise known as ‘Bagging Out’) | cut it out, stitch it up! 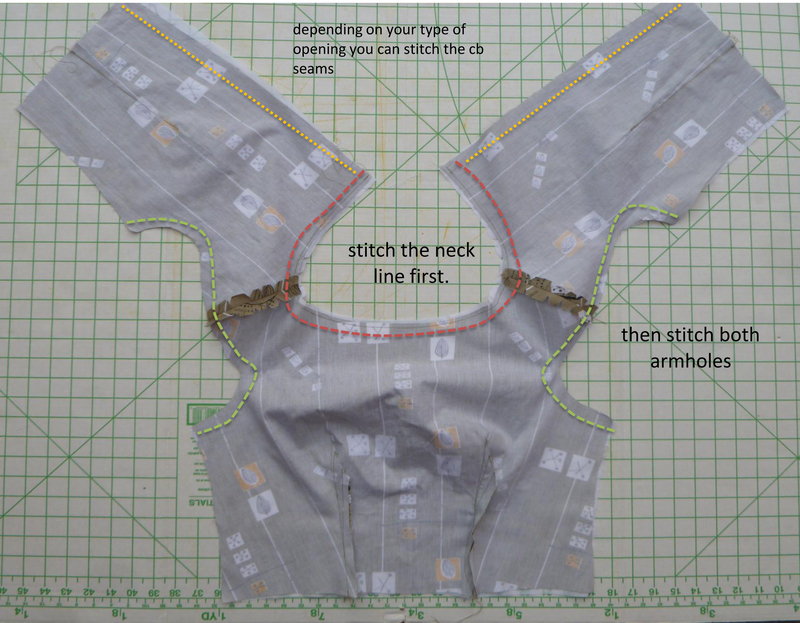 Thanks for this post- this has been a ‘Duh’ moment – I’ve always lined my sleeveless dresses like this but it’s alway been a bit fiddly to understitch the neck seam, cos I did it when the dress was finished. Why didn’t I think of this sooner?????? Yep! I’ve probably done the same in the past. 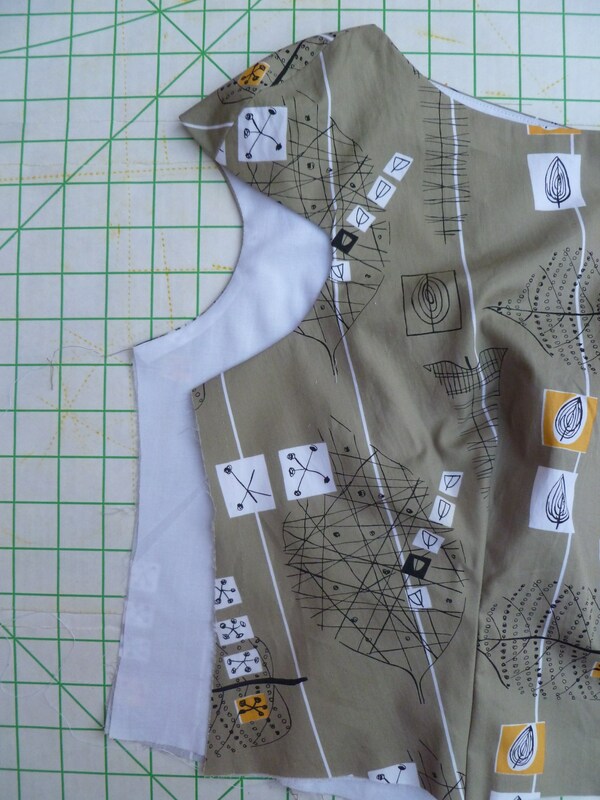 I sometimes understitch the armholes as well but this can be fiddly as you don’t have much space to work in. 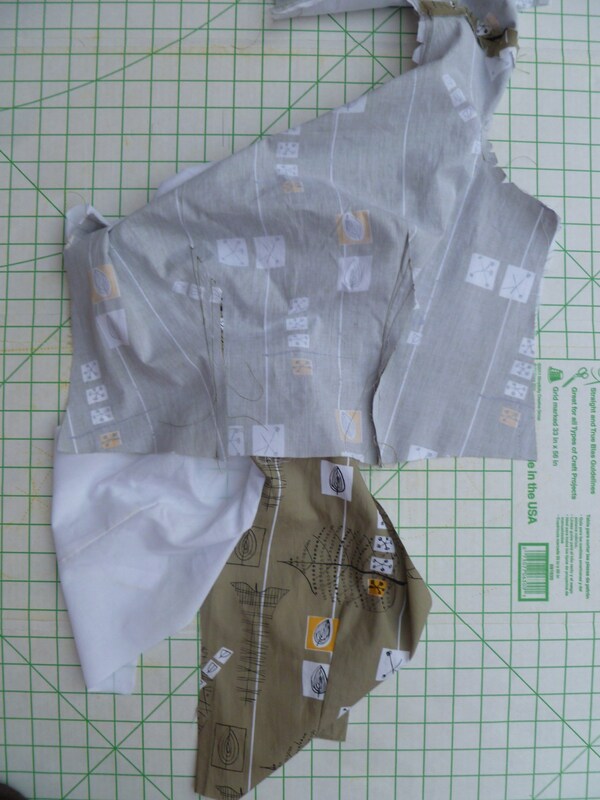 I love that fabric – looking forward to seeing your dress:) What pattern are you using? Dress is finished and I’ll try and post in a few days. The fabric is from John Lewis. Part of their 150 year anniversary range. It’s an old print re-issued. 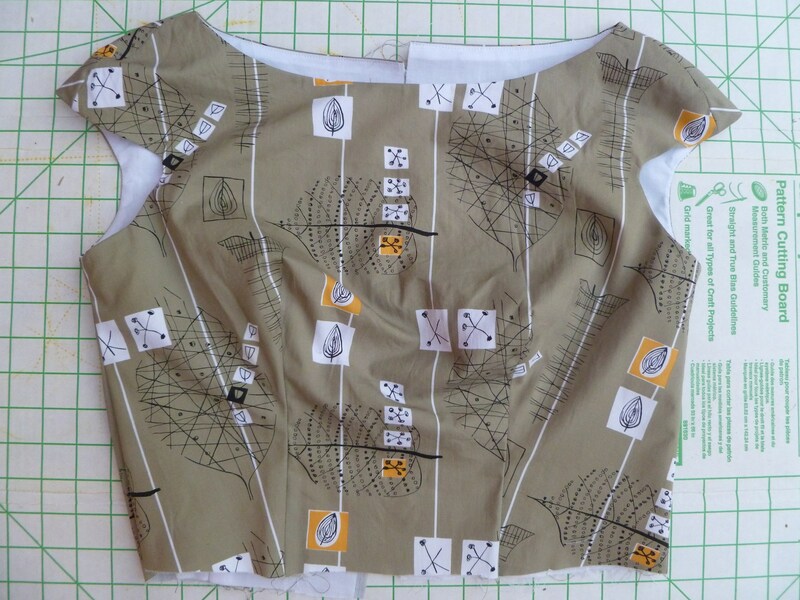 The pattern is a self draft. I find cap sleeves more flattering than completely sleeveless for me. I really like that fabric too, it’s a lovely colour, and I look forward to seeing the finished dress. Thanks. The colour doesn’t photo well, the back ground is more of a Khaki colour. Yes, it does give a good finish, all raw edges hidden! 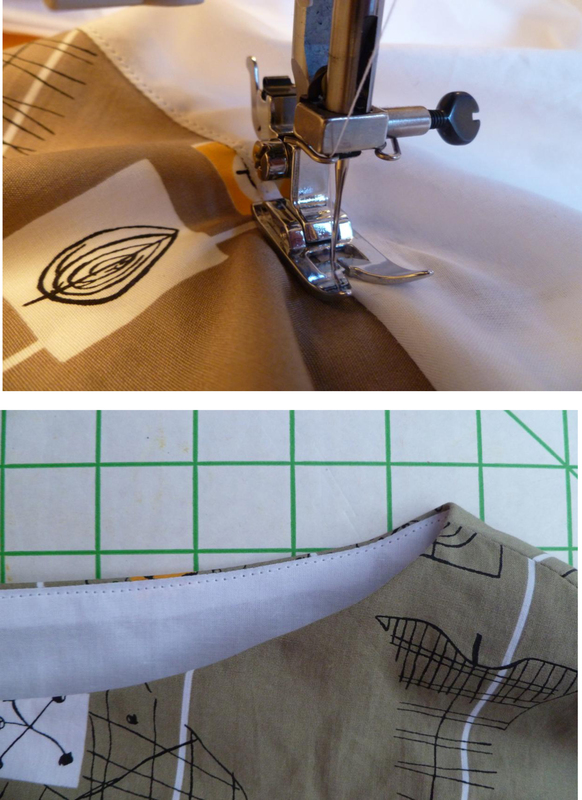 I just love doing this when I sew – it’s so simple but it is almost like magic! You did a beautiful job with it! It’s such a neat finish – all raw edges hidden. And easy when you know how. As a lover of 40s and 50s fashions this fabric speaks to me. Work it, girl. Thanks! Yes it is very retro. !